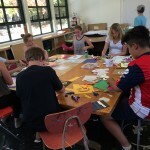 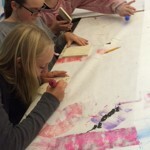 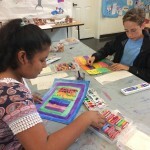 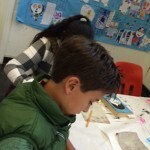 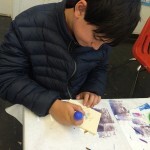 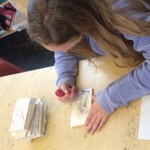 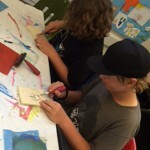 Visit YIA Gallery to explore Lagunitas Middle School students examining issues of identity and how art can be used to reflect one’s inner and outer self. 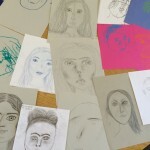 Mentor Artist Cathy Bowman introduced the students to self-portraits, using mirrors for observational drawing and then putting on blindfolds and drawing again. 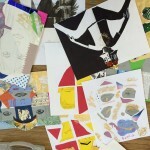 Students cut up the portrait of their choice and reassembled as a collage using various papers and gold foil. 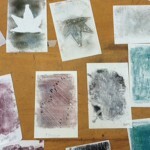 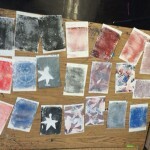 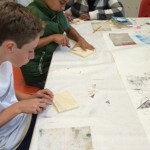 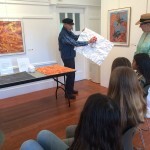 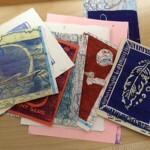 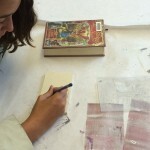 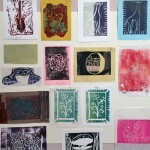 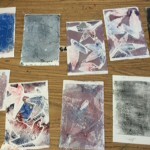 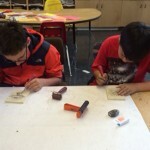 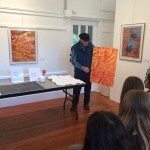 Students also worked on a number of print making techniques. 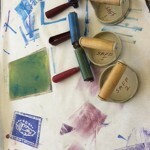 Regular hours 10 a.m.-4 p.m., Monday-Friday. 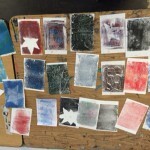 Check out some photos from Cathy’s class at Lagunitas in the gallery below! 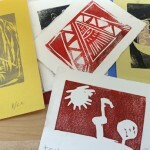 Prints ready for hanging in the show at Youth in Arts!